ST. BONAVENTURE - St. Bonaventure's women's basketball team hasn't even arrived in Oregon for its first-round NCAA game Friday night, and it's already reached the Sweet 16. 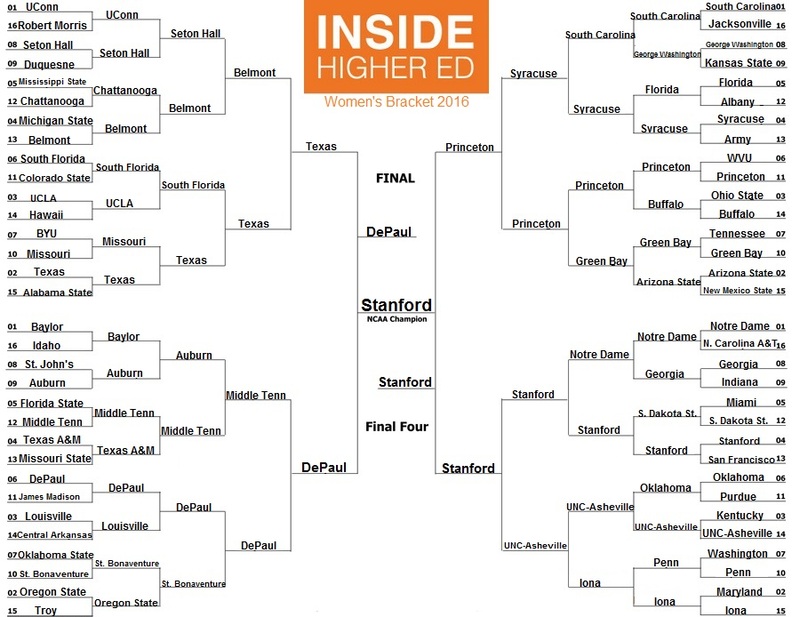 Inside Higher Ed today released its fifth annual academic bracket for the NCAA women's basketball tournament, and the Bonnies defeated Oklahoma State — their opponent Friday — and Oregon State in the bracket that determines victory by how teams perform in the classroom. To determine the winners, Inside Higher Ed first looks to the Academic Progress Rate, the NCAA's multiyear measure of a team's classroom performance. When two teams tie, the publication turns to the NCAA's Graduation Success Rate, which measures the proportion of athletes on track to graduate within six years. In the event of a GSR tie, it turns to the Federal Graduation Rate. Unfortunately, the Bonnies ran into perennial academic juggernaut DePaul in the Sweet 16. DePaul won three of the previous four tournaments, and was runner-up in a third. The loss didn't diminish Coach Jim Crowley's pride in his players' academic accomplishments. "We've always had great kids in the classroom, but this group is really special," Crowley said on the eve of his team's trip to Corvallis, Ore. "They all have a 3.0 GPA, and we have five kids who are either taking grad classes or in graduate school already." "We've been very fortunate to have a great support system here, but we've been extremely fortunate to have kids who take pride not only in their work ethic on the court, but also in the classroom," he said.